I know Bar Rescue is a reality show, and probably more staged then most reality shows, but bar owners should take a warning from O'Face Bar in Council Bluffs, IA. The bar faces closing after the city council denied them a renewal of their liquor license based on what they saw in the show and what kind of reputation the episode gave their city. 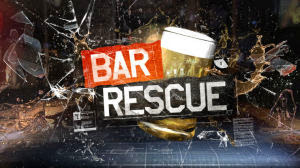 They're the first bar not to get a rescue from star John Taffer, and no wonder. In the episode that featured the bar there was physical abuse against employees and excessive drinking by owners and management. It was the worst dive bar I'd ever seen, and having been a professional musician and DJ for over 30 years I've seen my share of dive bars. It's one thing to stage arguments and horrible employees to get the "drama" needed before getting your beautiful make-over, but it would seem O'Face went a bit too far. To top it off they didn't even get a makeover! Below is the article about the liquor license refusal. A warning to bar owners wanting to be on Bar Rescue - don't over do the drama. “I understand this is a reality show, but the depiction of this inaccuracy has caused irreparable harm to the city,” [Mayor Matt Walsh] told the owner, Matthew Overmyer.